Home canning is far more a science than an art. There are some practices that must be followed, and others avoided, in order to achieve a quality, safe outcome that you are proud of showing to others and letting them sample. 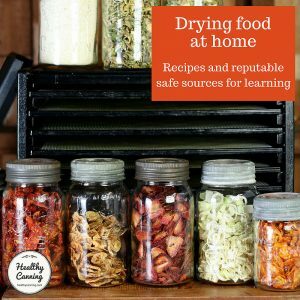 This page is our attempt at starting a list of dos and don’ts in home canning. Can you think of any we’ve missed that should be added to either list? Let us know in the comments, please. 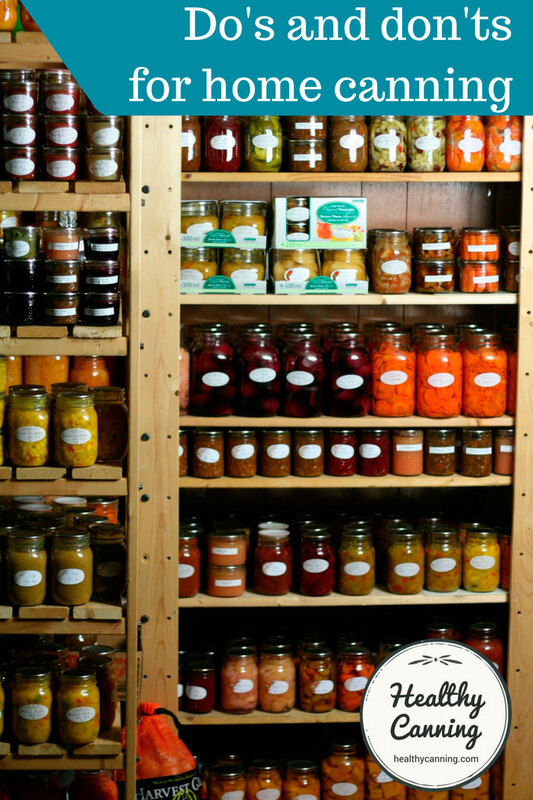 Home canned and preserved foods are a safe, healthy food option as long as you keep the most important things in mind. Always respect the process. 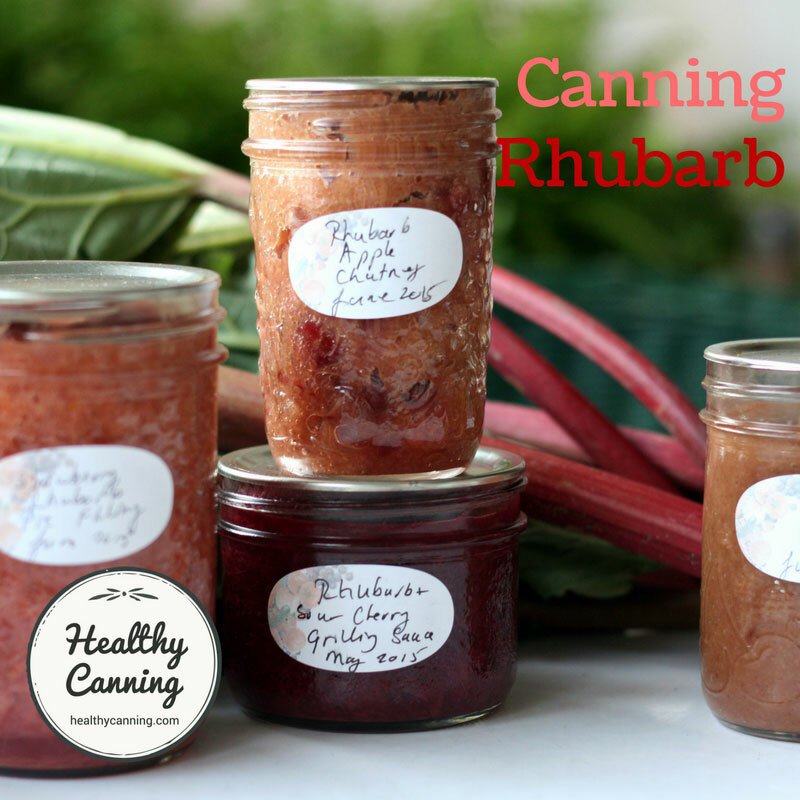 Each step of the canning process is there to protect you and the quality of your food.”  Plemmons, Skip (2014-09-14). 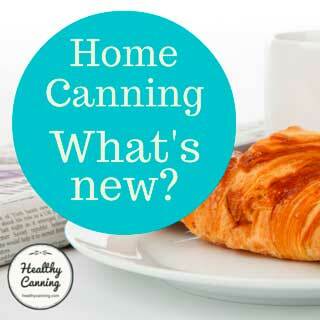 Next Generation Home Canning: Contemporary and Fun Recipes for Beginners . . Kindle Edition. 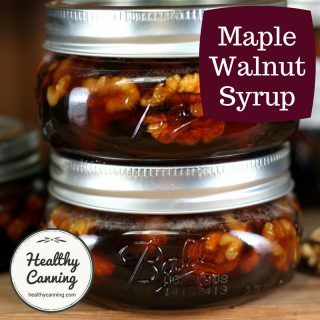 Do process every jar that you are going to store on a shelf either by water bath, steam canning or pressure canning, as appropriate for the food product and indicated by your tested recipe. 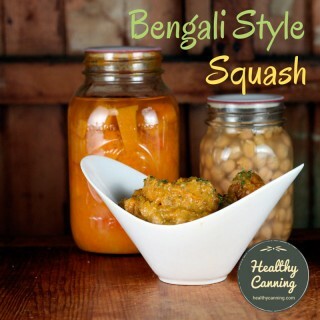 Do make sure you have enough time ahead before undertaking a canning session. It always takes longer than you think. Do label and date each jar. Discard any jar that you find on the shelf with an imperfect seal, or that has mould on the top, or that smells or looks funny. DO NOT EVEN TASTE. 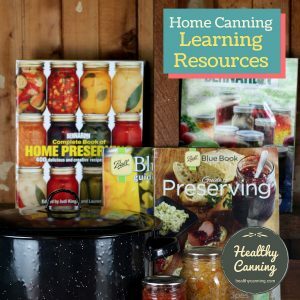 Don’t use any canning books issued prior to 2009, even if they were issued by a government or a trusted source at the time or were the ones your grandmother used. 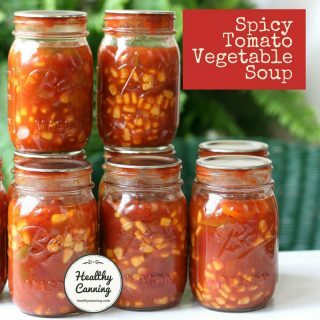 Just because an old or untested recipe has been used without evidence of botulism, there is no guarantee the next batch will not contain botulism. Don’t think that what was true 35 years ago is still valid now. 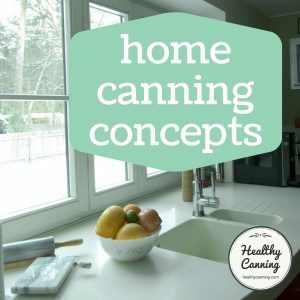 Update your home canning knowledge. 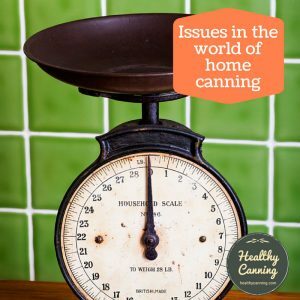 The understanding of the science behind canning has changed. 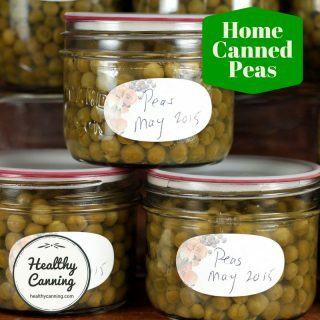 Don’t use any processing techniques other than either water bath canning (or steam canning) or pressure canning. 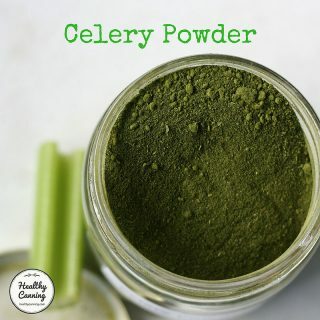 Don’t use a larger jar than the recipe has a processing time for. 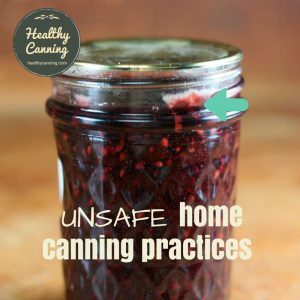 Don’t re-use metal lids for canning purposes. It’s fine to use them for dried storage, short-term refrigerator storage, for freezing or for crafts, etc. Above all: don’t panic. If you are using a tested recipe, there is a huge margin of safety built-in, so you can can with confidence. Anderson, Katelyn. Montana State University Extension Agent. ‘Plan to Can’ class will help you preserve your garden’s bounty. Ravalli Republic, Montana. 2 April 2015. Moskin, Julia. 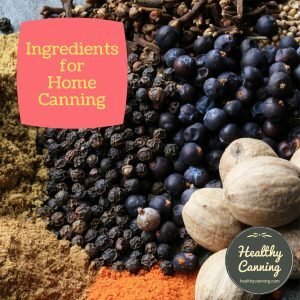 Some Canning Dos and Don’ts. New York Times. 26 May 2009. Wagner, Fiona. Enjoy the fruits of your labour through canning. Bankrate.com. September 2008. 1. ↑ Plemmons, Skip (2014-09-14). 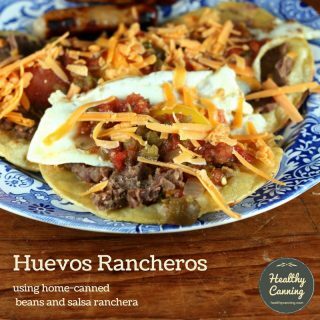 Next Generation Home Canning: Contemporary and Fun Recipes for Beginners . . Kindle Edition.